Meg Randell is Chiswick Auctions’ designer handbags specialist. 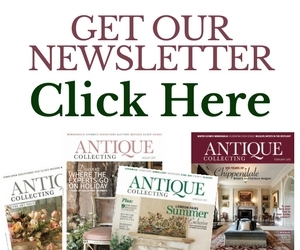 Here she explores the growing demand for items that are currently appreciating faster than wine or property. More women than ever are choosing to buy designer handbags at auction. For many, it represents an opportunity to purchase at under the retail price. For others, it can be a chance to buy a style of bag that is no longer available in the boutiques. Occasionally, as shown this month at Christie’s with the sale of a Hermès Barbie pink crocodile Birkin selling for £146,000, (see below) particularly special or rare bags sell for a great deal more than their original retail price. The popularity of designer bags is nothing new, and certainly shows no signs of slowing, despite the uncertain financial climate. Many can afford to part with often four-figure sums to buy the handbag they want at auction and are confident in the knowledge that the bag they have chosen will be of high quality and authenticated by a specialist. For those in the know, handbags are almost a secret code, revealing instantly the income and the tastes of the carrier. Bags, like all fashion, come in and out of taste. The ‘it’ bag of one year might be totally out of favour the year after. However there are a number of bags that remain in vogue year on year, and these bags are the ones that do best at auction. The three most popular bags all come from French fashion houses and are the Hermès Kelly, the Hermès Birkin and the Chanel 2.55. These bags do come up for sale fairly regularly, but their popularity means that there is nearly always more than one person bidding for them, keeping their prices high. If you are looking for a bag that will keep its value, then these three are your best bet. Hermès began life in the 19th century making high-end saddles and the first version of the Kelly was designed as a leather bag for carrying lady riders’ saddles. The design was refined through the first decades of the 20th century to the structured, top-handle bag we have today. The Kelly had its defining moment in 1956 when Princess Grace Kelly of Monaco used her beloved bag to hide her pregnancy bump from the paparazzi. Hermès officially renamed the bag the ‘Kelly’ in 1977 in honour of their royal patron. The Birkin was also named after someone – the actress Jane Birkin. The story goes that Hermès’ creative director Jean-Louis Dumas was on the same flight as Birkin in 1981, when the actress’s straw bag tipped its contents all over the gangway, leading her to complain that she couldn’t find a decent leather bag with pockets. Dumas offered to design a bag for her and scribbled his initial design on the back of a sick-bag (or so the story goes), giving Jane the very first model of the bag. Since then, the bag has retained popularity with celebrities such as Victoria Beckham being snapped carrying theirs. All Hermès leather goods are made by highly skilled leather artisans, and come with a price tag to match. It takes around 48 hours for a standard Birkin to be produced and part of the mysticism surrounding these bags is that one cannot simply walk into a Hermès shop and buy one. To own a brand new Birkin or Kelly, not only does the potential buyer have to part with upwards from £7,000, they also have to add their name onto a waiting list and wait on average six months until their bag is ready for collection. This is one of the reasons Hermès bags perform so well at auction; instead of waiting patiently (or impatiently!) on a list for months, a lucky buyer can spot a Birkin at auction that day, bid for it and walk away with it that very evening. The third bag that has maintained its popularity since its conception in February 1955 is the Chanel 2.55, taking its name from that date. Designed by Coco Chanel as a practical and stylish alternative to clutch bags and reissued by Karl Lagerfeld in 2005, these simple flap bags with chain straps have become a timeless symbol of elegance, taste and luxury. Chanel designs are the living embodiment of the adage that good style never goes out of fashion. 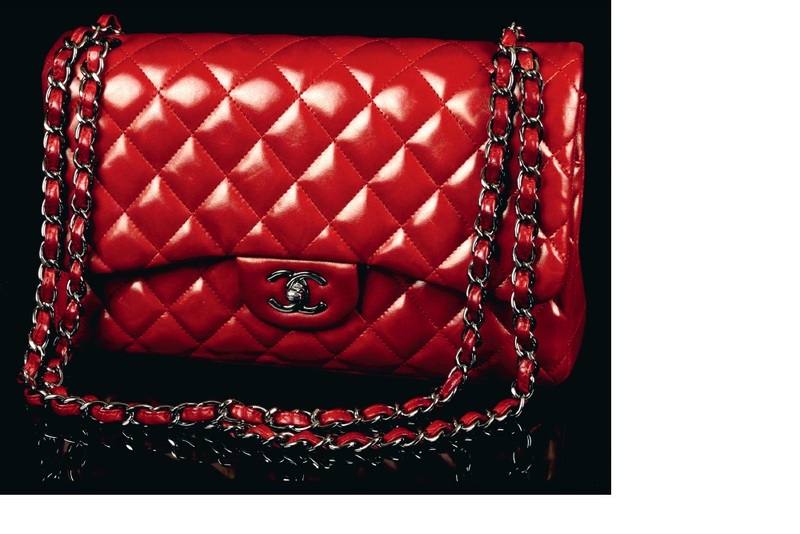 The Chanel 2.55 has been one of the best-selling bags since its release in 1955. The seemingly eternal interest in these bags means that buying one of these three bags can be a fairly safe investment. In fact the retail (and also resale) values for these bags has risen faster than inflation. A pristine 1980s Chanel flap bag will often cost you more to buy now than it did 30 years ago, and so some people are now choosing to invest their money in designer handbags, rather than art or other more traditional avenues. It has also never been a better time to sell your vintage handbags, if you are lucky enough to have some lurking in the back of your wardrobe. High-end fashion brands use only high-quality materials and are created by highly-skilled craftspeople. Brands such as Chanel and Hermès can justify high prices (the current retail price for a Chanel 2.55 is more than £3,000) because they truly are exceptional pieces of craftwork. Unfortunately the popularity of these three bags means that they are also often copied and passed off as the genuine article. Luxury brands simply do not release substandard work, and fight hard to protect their image, and so any signs of inferior work reveal the bag to be a fake and avoided at all costs. When buying at a reputable auction house, the buyer should be assured that any bags up for sale have been studiously looked over and checked for any signs of counterfeiting. It is, however, worth the buyer reading up on the bags and doing their own checks for their peace of mind. Like all things, there are various degrees of quality in the counterfeit market. The cheaper fakes will be easy to spot; using fake or low-quality leather, or wonky stitching for example. There are, however, some horribly good copies that are being churned out that only a keen eye will spot. Often it is the smallest details; one too few stitches in a Chanel quilted section, the incorrect metallic stamp, the wrong accent on the ‘e’ of Hermès are all small examples that need to be completely perfect for the bags to be genuine. One of the benefits of buying at auction, rather than online (or an online auction house), is that you have the opportunity to come in and inspect the bag yourself. The best bags are often made from a sort, buttery leather that is impossible to imitate and can only be felt to be understood. Aside from these two French brands, there are a whole wealth of designer names that do well at auction. Other bags that regularly feature include Louis Vuitton, Gucci, Prada, Bottega Veneta, Dior and Cartier to name but a few. So shop around, find brands and styles that you like and see if you can get them cheaper or quicker at auction. A rare alligator-skin Ralph Lauren Ricky bag made £5,600 at Sworders’ first luxury accessories and vintage fashions auction. The limited edition gift was a present to private guests at the opening of the new Ralph Lauren store in Hong Kong in 2013 and came with a handwritten note to the vendor from the Ralph Lauren Asia team, the original box, dust bag and authentication card. The bag was inspired by a vintage English saddlebag and named after the designer’s wife. A rare Hermès bag has set a new record for the most expensive handbag ever sold at auction – going for HK$1.72m (£146,000). The fuchsia diamond-encrusted crocodile skin 2014 Birkin was sold to an anonymous phone bidder at Christie’s international handbags and accessories auction in Hong Kong last month. The sale price was above the highest estimate at HK$1.5m (£127,000), with the final cost including buyer’s commission. The previous record for the most expensive handbag sold at auction stood at $218,000 (£144,000), for a gold and diamond piece once owned by Elizabeth Taylor, in 2011. A Hermès Birkin sold at $203,150 (£133,000) in a heritage auction the same year. The same sale saw a world record set for a when this porosus crocodile diamond Sellier Kelly 32, sold for HK$1.2m (£95, 536) well above its high estimate of HK$1m. The 2008 bag, which went to a private Asian bidder, also included 18K white gold and diamond accessories with a diamond lock, keys and dustbag. The auction offered a collection of more than 300 bags that were curated to appeal to top Asian collectors, featuring diamonds, exotic leathers, and numerous sought-after limited editions. All of the top 10 lots were handbags by Hermès. The sale also included a 2014 matte white Himalaya Niloticus crocodile Birkin 30, with palladium hardware which sold for HK$1.24m (£105,771). I have a Hermes bag brown calf leather for sale. Can you please email me . 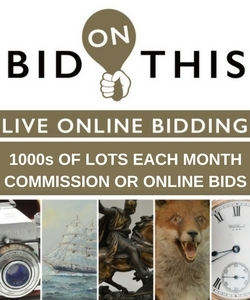 Hi Lesley, we would suggest contacting a local auction house if you are looking for a valuation for your Hermes bag. 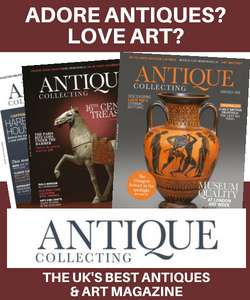 Or why not try sending an email to Meg Randell at Chiswick Auctions who wrote this article?